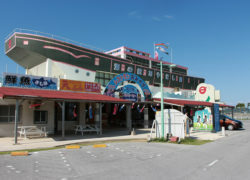 Located at the midpoint of the Kaichu causeway and featuring a boat-shaped design, Umi no Eki (literally seaside station) Ayahashi Kan, a small market, features assorted products from Uruma City as well as a buffet-style restaurant. It also has a small marine culture museum on the second floor, displaying the history and folklore of the Katsuren Peninsula. 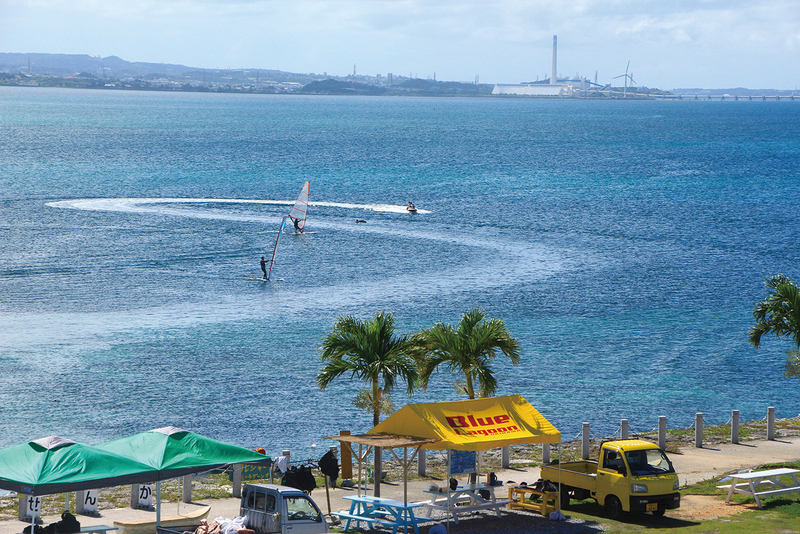 Marine sports are available at affordable prices on the beach adjacent to the premises. Unaffected by riptides because the water is shallow here, this area is a popular windsurfing spot.